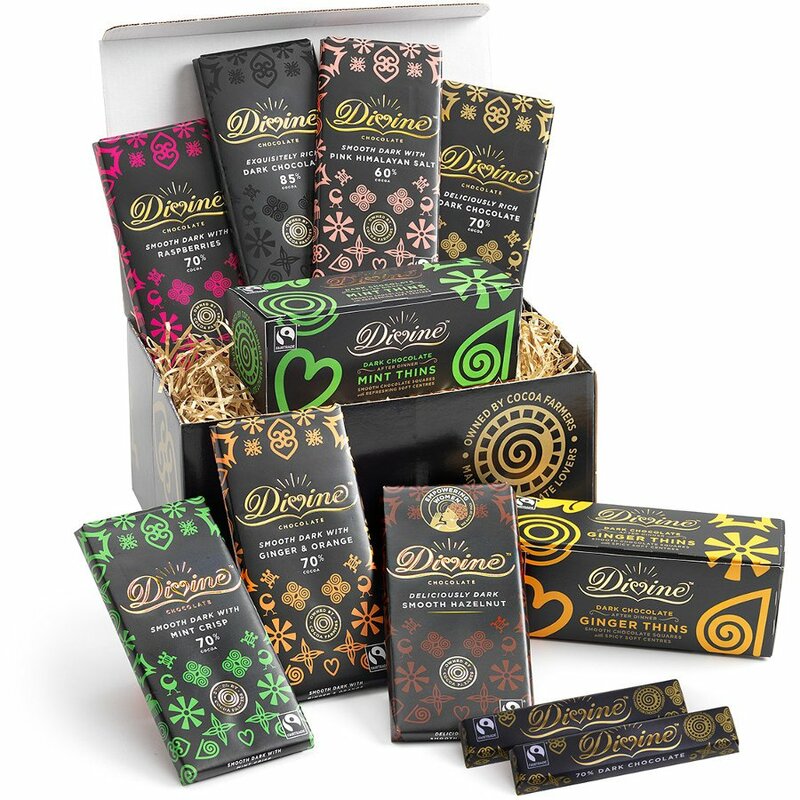 This scrumptious Divine Vegan Chocolate Hamper makes the perfect gift for any dark chocolate lover, with a selection of seven flavours of our dark chocolate bars and two varieties of our dark chocolate thins. You’ll be spoiled for choice with this bountiful hamper, with delicious treats such as our exquisitely rich 85% dark chocolate, our 70% dark chocolate with tangy raspberries and our smooth dark chocolate with pink Himalayan salt. Whether you love to explore dark chocolate flavours or want to shower a friend in chocolatey goodness, this hamper is the perfect choice. There are currently no questions to display about Divine Vegan Tasting Hamper.